The jump from 10km to Half Marathon….are you ready? You’ve got 10km in the bag. What’s next? How to move up to a half marathon. Hitting your first 10km is a brilliant achievement. For so many beginner runners we work with, it’s their main goal. It’s a distance they never thought they’d be able to do as a continuous run. 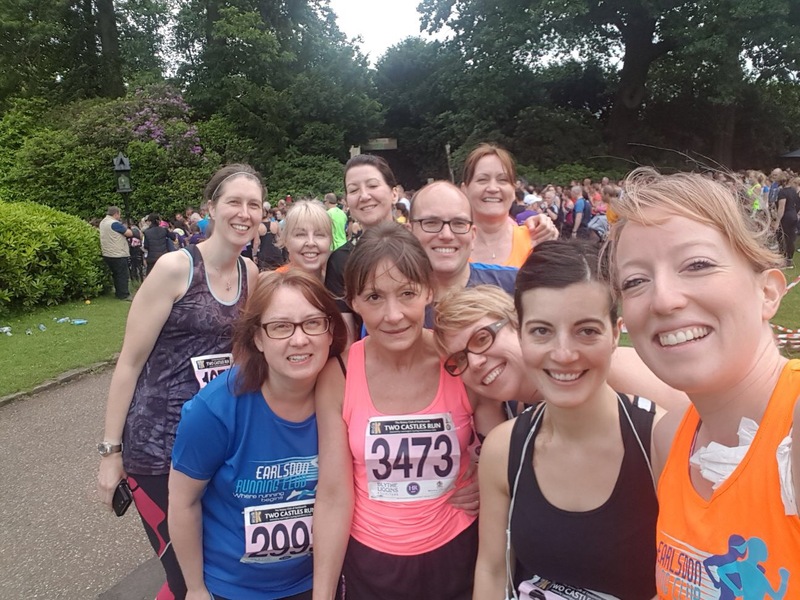 Race day is nervy and exciting but if you’re lucky enough to be part of a friendly running club (like us!) then you’re in good company. The 10km finish line is the rush of achievement with a dose of “why do I do this? !” and the medal, smiles and congratulations make all the hard work worth it. Then you find yourself asking “what next?” Some runners like to do the same distance again, it’s a distance they are comfortable with and they want to focus on beating their PB. For others, the challenge is extended as sights are set on a half marathon distance. It’s hard to dream of a half marathon as a total beginner because running a few metres is tough enough, nevermind 21km. But hit 5km, conquer the 10km, realise you can run continuously for further than you ever thought, and the dream of a half marathon sounds (still crazy) but possible! I think the half marathon finish line is quite different to a 10km. It can be very emotional. Running a longer race is emotional because it’s nearly always a mental game on the day. Determination, goals, desire, dreams and exhaustion all mixed up in the dizzy game of running with euphoria, endorphins and a few aches and pai ns! I remember my first half marathon very well and my favourite feeling was the medal. I hadn’t had a medal since I was a child and it made me realise that as an adult we don’t stop and celebrate achievements enough. That big piece of metal round my neck was an acknowledgement that I’d done it. I hated running so personally it was a huge deal to me. My goal was simply to get round without walking and I’d done it! So, if this is you, if you’re making the jump from 10km to 21km (a half marathon) then what do you do? How do you train? How will you make that jump to over double the distance? Here are my top ten tips to make that leap and preferably enjoy the journey! Often after people’s first race they take a week off, that becomes two and before you know it you haven’t run for a few months. Don’t start your training plan on the back foot. Keep consistent with your training. There are half marathons and there are half marathons. You don’t need to pick the biggest or hilliest or most famous for your first one. I chose my local half. 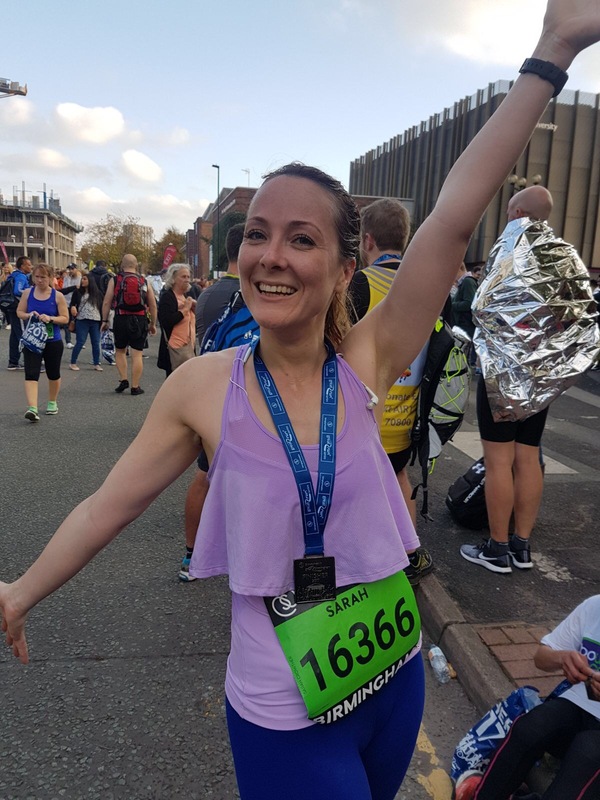 I knew I could walk there, I knew I could do some training on the route and I knew that my family could come and support me on the day – I cannot tell you now much this helped get me round. Others pick a flatter half for their first or one that’s scenic to distract them. Just pick one that’s right for you. That’s sounds obvious but there is something about parting with your £35 and putting the date in your diary that makes the commitment a bit more real. It’s what gets you up for your 18km training run or gets you running when it’s raining. It’s real. It’s happening. You’ve told your family and friends. You’re doing this! The training plan is the most important thing of all. There are loads of training plans online. The one I use with my training group goes from 7km to half marathon in 11 weeks but I always say to people, if you’re up to 10km before you start the training plan then you’re onto a winner. So many people don’t train properly. They rock up on race day and I can pick them out at the finish. Faces of pain, hobbling, holding their legs or stinking of deep heat. There is no glory in dragging a poor battered body round. Do it right and treat your body well. That way you can enjoy race day – well, sort of! Why are you committing to a half? Is it a dream? Is it what someone said? Is it just a thing to do? You have to want this. It’s a big deal for those of us who are not born with 6ft long legs and were not picked for the school athletics team. The training does require commitment and the reward is so worth it but only if you want it. That’s what keeps you going in the tough bit. So work out your why, set your goal and then GO FOR IT! Tell your family and friends, train with someone else or join a running club. I hate running on my own, it’s boring and lonely and it makes me want to stop. That’s why I’m so lucky to have The Earlsdon Running Club. Whilst it’s my job, it’s also brilliant company for me too. If you love running alone that’s brilliant but if you don’t don’t drag yourself through it. We have to enjoy the journey so get the support you need to help you through. Warm up and stretch before/after EVERY single run. Without fail. Your body is not only your tool for race day but you also probably need it for other things. Like to go to work, get you around and keep you alive. So treat it like royalty in your training. Get treatment if you need it. Don’t ignore niggles or injuries and build your distance up gradually. The waft of deep heat, the sea of strapping and the limping at races gets me every time. It’s so important to look after you. Running can be done mainly for free. Park run is free. Streets are free to run on. THE thing you have to invest in is your trainers. They support your feet, your ankles, knees, hips and back. They quite literally carry you. So don’t go cheap. Get a gait analysis done and get the right trainers. If you get good ones you’ll get 400-500 miles out of them and they really are an investment in your well-being. Get them before you start training so they’re well worn in for race day. Do this for you. Do it right and do it well but get ready. If you’ve done 10km then you CAN do this. Get the training dates in the diary, commit and get your mindset ready to show the world that you’re a half marathon runner! I really hope that helps. 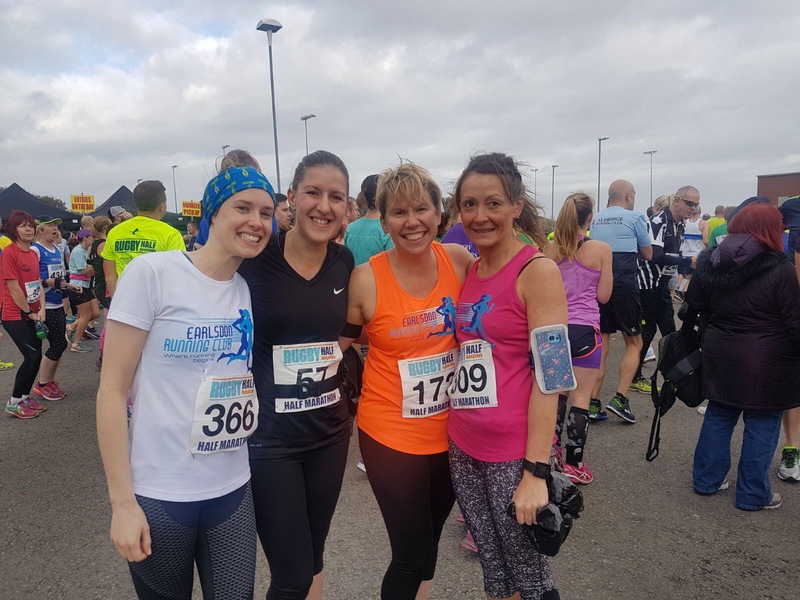 We can’t wait to kick off our next half marathon training group in January for the Coventry Half Marathon in March. Booking is now open so why not join us? For all the details check out our website www.leanbodyvision.com and click on the ‘running club’ tab.